A top quality advanced low VOC (less than 50g/L) waterborne/ urethane modified alkyd enamel for interior surfaces. This high performance, durable coating is easy to apply and offers excellent self leveling and flow characteristics for a smooth factory like melamine finish on most surfaces. This high-hiding, excellent coverage, scrubbable and washable paint has exceptional stain resistance. Apply on properly prepared wood, metal, drywall and masonry surfaces. 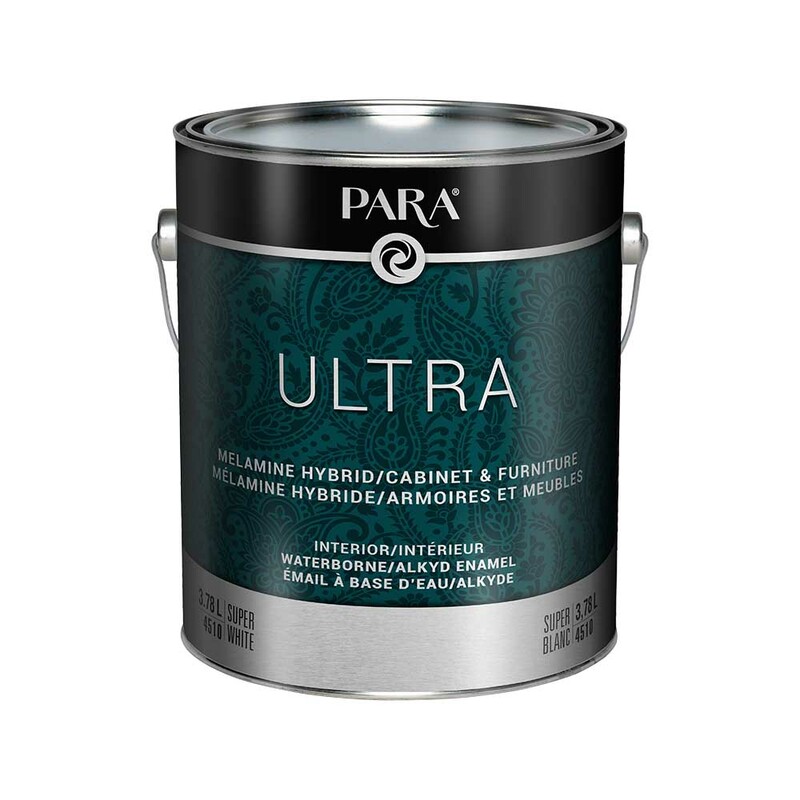 Ideally suited for kitchen cabinets and furniture, as well as walls, doors, trim, and other high traffic interior areas. Ultimate durability and performance of an oil based paint with the easy water clean-up and fast dry of a latex. Smooth factory like melamine finish. Low VOC* (less than 50g/l).